Paula Shearer – a Yellow Dog image. Yellow Dog Flyfishing Adventures is excited to announce that Canadian guide Paula Shearer has joined the Yellow Dog team as the company’s newest global ambassador. 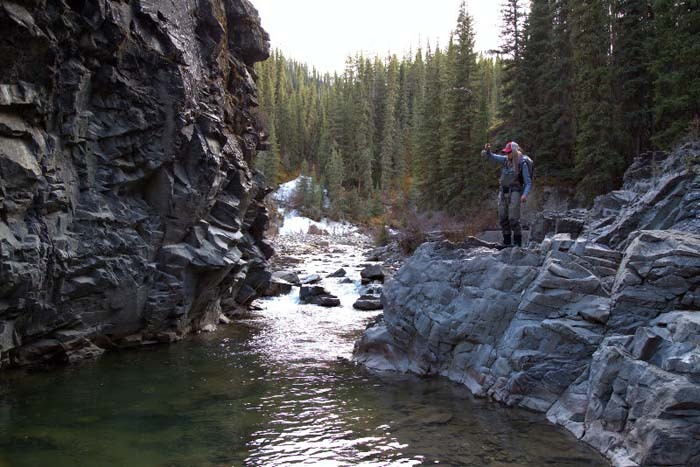 Paula is a well-respected guide and outfitter in Alberta, Canada, where she spends her season working on the renowned Bow River and surrounding fisheries. She has developed a reputation as one of the hardest-working guides in the region, and she is well-respected by clients and competitors alike. Through her years of competing in winter sports, Paula learned the value of a focused work ethic and experienced first-hand the drive and determination it takes to accomplish her goals. Paula has transitioned what she’s learned to the outfitting world, trading her skeleton sled for a drift boat and applying her skills to a full-time pursuit of fish. A Paula Shearer having a two-handed day. A Yellow Dog image. In her new role with Yellow Dog Flyfishing Adventures, Paula will be hosting international trips, assisting Yellow Dog clients with planning and preparation, and working at consumer shows and events throughout the U.S. 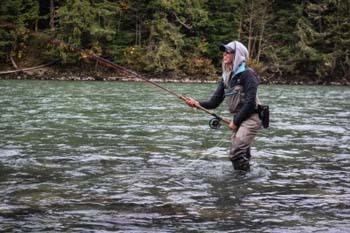 Whether she’s swinging flies to steelhead or exploring fisheries in the salt, Paula couples her love of fishing and travel with a strong desire to give back to the sport that has provided her with so many opportunities. She’s regularly found at events and clinics throughout the U.S. and Canada – mentoring new anglers and interacting with newcomers to the sport. As a member of the Yellow Dog Ambassador Team, she joins anglers Jeff Currier, Jako Lucas, Oliver White and Wil Flack. Additionally, Paula is an ambassador for Simms Fishing Products and Hatch Reels. Yellow Dog Flyfishing Adventures is a Bozeman, Montana-based destination angling company known for booking anglers into the finest lodge and fishing operations around the globe. The company currently offers more than 190 different freshwater and saltwater destinations in 26 different countries throughout the world. CONTACT YELLOW DOG . . .